We are here to help our students get a world-class education at a great value. As a public college in The City University of New York (CUNY) system, our tuition is a fraction of the cost of attending a private college or university of comparable quality. We believe that a student’s financial resources should not be a barrier to enrollment. Our financial aid programs are designed to be an investment in our students’ academic life. Our tuition and fees vary according to your undergraduate or graduate classification as a continuing student, a new student, a matriculated student or a non-degree student, and whether or not you are a resident of New York State. To access the complete tuition and fees schedule, please visit our tuition and fees page. 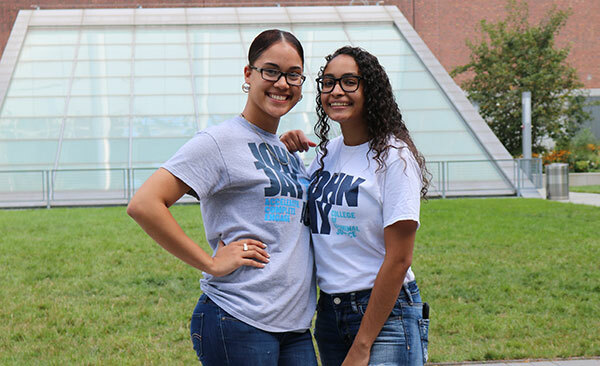 John Jay College of Criminal Justice is committed to supporting you and your family in finding the best solution for your financial needs. Whether you are a prospective or current student, please know that we are working on your behalf. We encourage you to file your forms early and accurately. To get started, fill out a FAFSA (Free Application for Federal Student Aid) online. Be sure to file as soon as possible after October 1, each year. If you have more questions about financial aid, please contact us at 212.237.8151 or visit Jay Express Service Center. The College will be Closed on *Fridays between June 25, 2018 and August 10, 2018.